Can you define love with the materials? 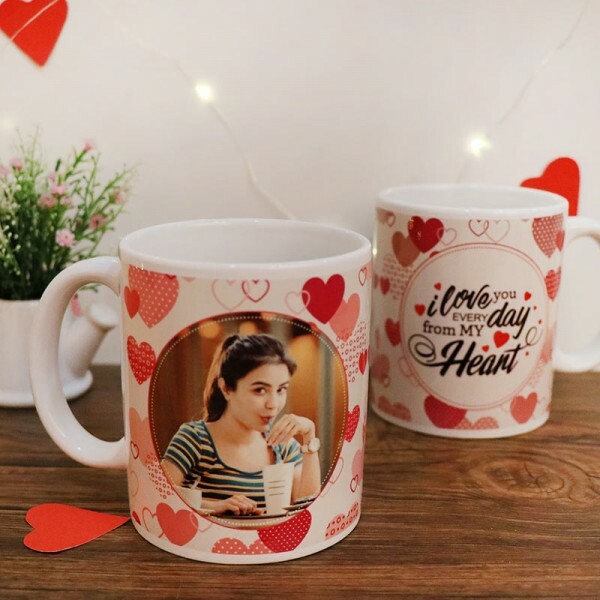 Well, now you can because this particular combo offered by us perfectly defines your feeling of love for her on behalf of you. 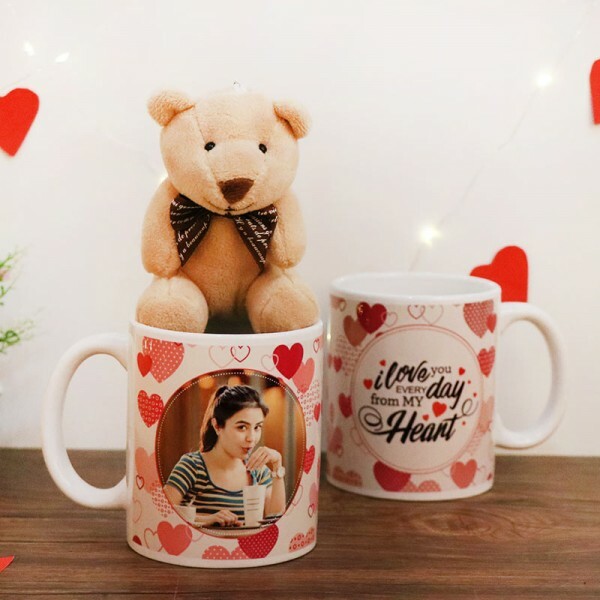 Coming with a personalized photo coffee mug with private massage and a cute little Teddy Bear, this gift is all about the expression of love.